Ask any financial services (FS) firm to identify its biggest challenge and the answer is likely to be the need to comply with a seemingly endless parade of rules, laws, bylaws, directives, legislation, regimes, policies, guidelines, decisions, recommendations and standards. For FS, it is a regulatory jungle out there. 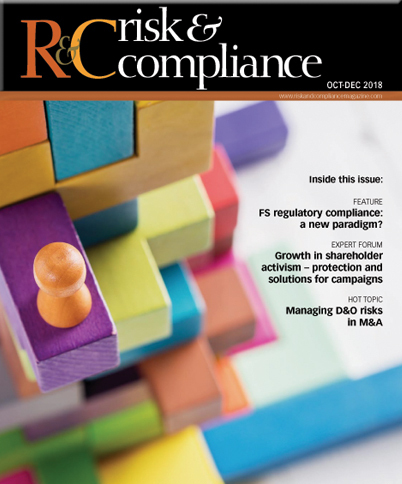 In Europe, the likes of the revised Markets in Financial Instruments Directive (MiFID II), the General Data Protection Regulation (GDPR), the second Payment Services Directive (PSD2), the Insurance Distribution Directive (IDD) and the extended Senior Managers and Certification Regime (SMCR) are tasking compliance officers like never before. Furthermore, FS firms are wrestling with new and revised regulations against a backdrop of considerable uncertainty, with the as yet unknown outcome of Brexit a key factor. There is also uncertainty in the US. The arrival of the Trump administration led to an initial lack of regulatory clarity before a partial rollback of the Dodd-Frank Act – a major overhaul of banking regulations – was signed into law in May 2018. Taken alongside the flurry of ‘midnight’ regulations passed by Barack Obama in the final days of his presidency, it is clear why FS firms stateside need to closely monitor a fluctuating regulatory landscape.